see the best parts of Shanghai in a limited time ! lily was great and very flexible for our family ! If you are looking for a 5+ star private guide to show you Shanghai, choose Lily Z. We enjoyed her great personality for two, half day tours of Shanghai. She showed us the sights, sounds, smells, and culture of Shanghai. We moved about town in a comfortable car with skilled driver (the local traffic is no place for a novice), and hit all of the high spots, the back alley sections and lunch spots for the locals. Lily was quite knowledgeable and a real joy to be with . Following our 12-hour tour the previous day, Lily rounded out our Shanghai experience with 4-hour tour of the Jade Buddha Temple, The Bund and promenade walk, visit to the Peace Hotel, Nanjing Road, and short Shanghai Museum visit. Wonderful guide who goes the extra mile to make you comfortable, while educating you on the nuances of an amazing culture in a warm and friendly manner. She and her driver work perfectly as a team, making efficient use of time. Meet Lily and you'll make a new friend! Lily and her driver were fantastic as guides: knowledgeable, with superb English-language skills, and intuitive as we moved from site to site. Even though the weather was rainy and cold, we had a terrific tour and will use Lily's services again on our next trip to Shanghai. Lilly was a great tour guide. Extremely knowledgeable and very easy to speak with. I thoroughly enjoyed my tour of Shanghai. Lilly had good ideas but was also very flexible on setting our itinerary. We did two half day tours in Shanghai with Lily. She was friendly and knowledgeable and answered our (many) questions. A good car and driver were supplied. Lily and her driver were great and an efficient team. We really enjoyed seeing the must see things in Shanghai. We had just arrived in the city and having this jump start on a great city was important. We would definitely suggest Lily she is extremely likable and very knowledgeable guide. She gave us a great list of locations to tour on our own the next couple days also. Lily was an excellent guide. We thoroughly enjoyed spending the afternoon with her. Lily gave us a wonderful taste of Shanghai filled with interesting facts and historical perspective. My only regret is that we didn't have more time to spend exploring Shanghai with her. "Lily was prompt, flexible and very professional. Because of her attention to my needs we were able to see all the highlights of interest, sample local foods and enjoy the night lights along the Bund in this single tour." In our recent trip in Shanghai Lily did an excellent job. Lily was the absolute BEST!! I booked a weekend trip to Shanghai, yes a weekend trip, with the sole goal to make the most of the little time I had and to see all that Shanghai has to offer, or well, at least a lot of it. Lily was a pleasure to be with, knowledgeable, smart, funny and really just a pleasure to spend 8 hours with. Lily made my weekend trip across the world worth every penny. I would encourage those interest to look no further, Lily is the best there is. I can't wait to visit again!!! Lily was very knowledgable, very easy to understand, pleasant and easily accommodated our preferences. Would highly recommend Lily. Lily was very helpful. Our flight arrived earlier than schedule but she had been there right before time. The local market tour was incredible and memorable. Though the tour was short,but we had a great time. We would recommend her next time that you travel to Shanghai. My wife and I spent one full day with Lily. 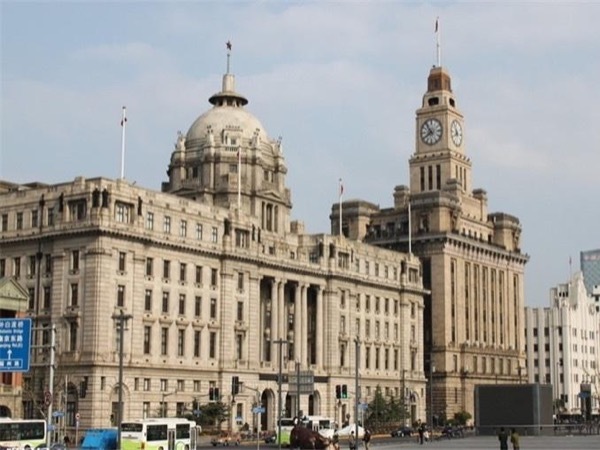 On the face of it an expensive tour at$300 for just two people, but it did include a very comfortable car.However, if you plan to visit Shanghai for one day as part of a cruise tour like we did then it offers no better way to spend on this wonderful tour. Lily was very charming and fun to be with. Her command of English was excellent. She combined local knowledge and history to cover a good wide itinerary. Fantastic!! Lily did a wonderful job. I decided to book a last minute tour with some clients on our day off, and Lily was incredibly responsive. She showed up on time, and chatted with us to develop an itinerary that would work for all of us (some of us had to go back early). She shared a lot of terrific cultural and historical knowledge of the sights, helped negotiate with shopping, and took us to a fabulous and authentic place for lunch. The clients loved it-a great way to see the city on limited time off!